On Tuesday, Apple announced that the entire Beatles catalog is now available via the iTunes Store. Per Macworld, the group’s complete box set is now available for US$149 with many individual tracks selling for $1.29 apiece. Single albums cost $13 each, with double albums such as the Past Masters compilation going for $20. 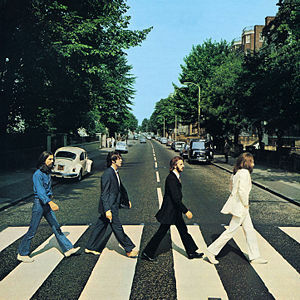 Each of the 13 remastered albums also sport iTunes LP features, including a mini-documentary on the making of the album. The complete box set also features an exclusive: the “Live at the Washington Coliseum, 1964” film of the Beatles’s first U.S. concert. However, if you’re not ready to pony up the full cost of the complete discography, don’t worry: everybody will be able to stream the video from iTunes for free for the rest of 2010. The appearance of the Beatles on iTunes is the culmination of years of rumors, half-starts, and legal disputes between Apple and the Beatles’s Apple Corps. In a day and age where most new music is released online, the Beatles have long been the most prominent holdout from digital downloads. The closest the lads from Liverpool got was last year, when a limited edition of the band’s remastered discography was released on a USB flash drive with high quality digital tracks. Despite Jobs’s well known love of the Beatles, Apple and Apple Corps have had a tortuous legal history spanning more than three decades. The companies first met in 1978, shortly after Apple’s inception, when Apple Corps sued the nascent computer company for trademark infringement; the two settled a few years later, with Apple agreeing to stay out of the music business. That lasted until 1989, when Apple started selling a Mac that could synthesize music; Apple Corps sued , saying that the move violated the earlier deal.